Racers, start your marbles! 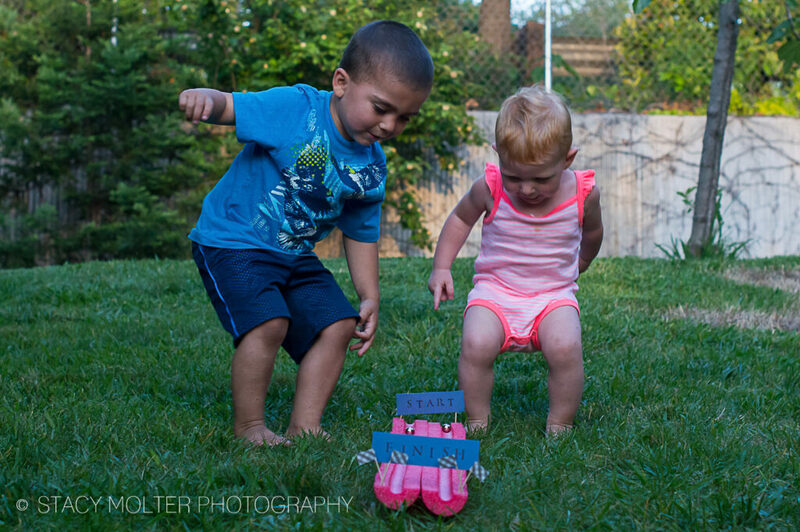 Summer is all about having fun. 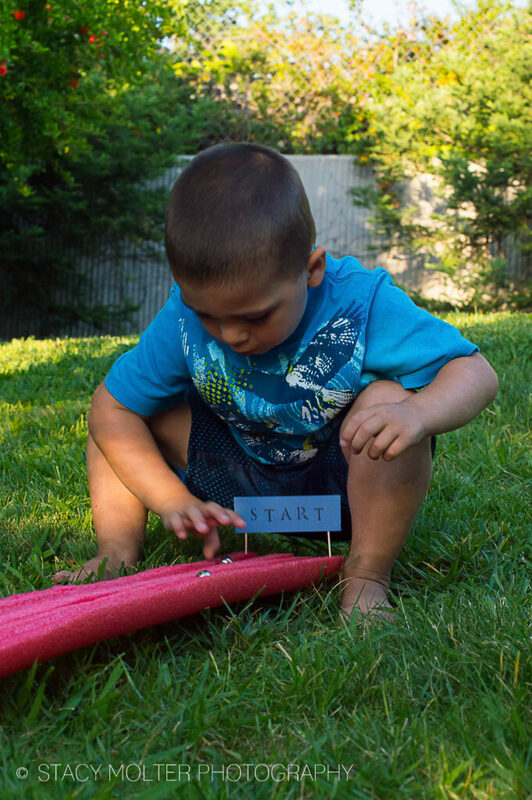 and this easy DIY Pool Noodle Race Track makes the perfect outdoor summer fun craft for any young child. 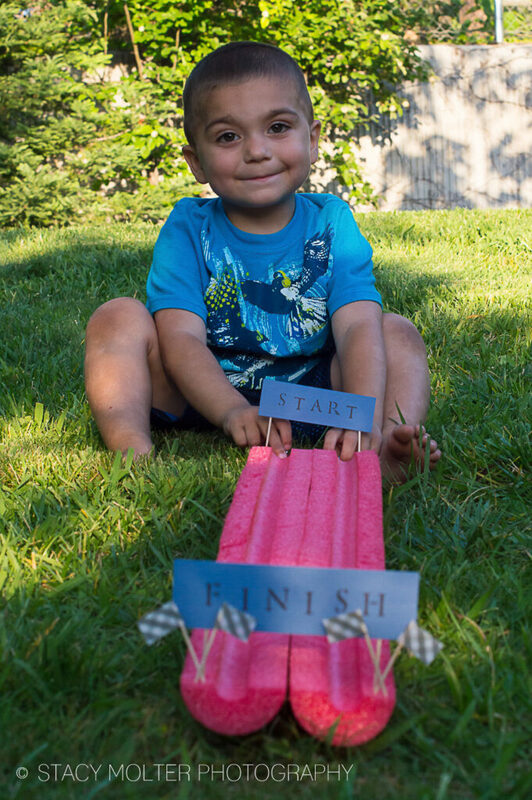 Whether you're setting up one track for a fun Father's Day race, or multiple tracks for a birthday party or play date, this fun kid's craft will have children laughing all the way to the finish line. 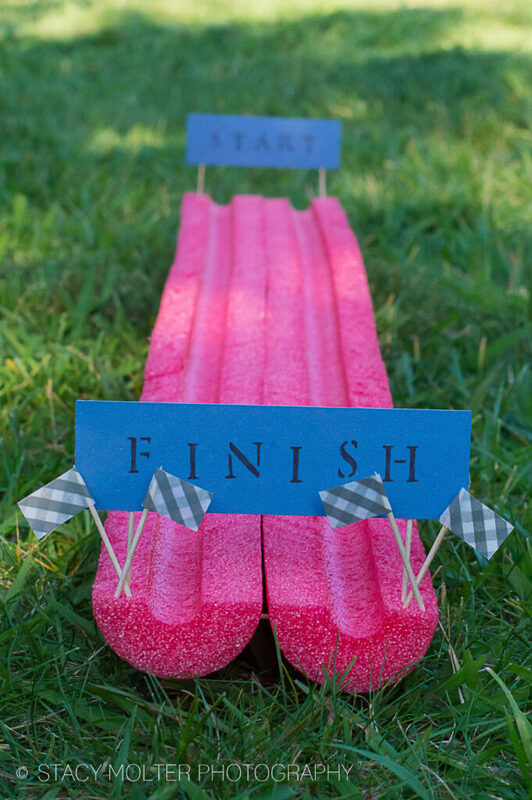 You won't believe how easy this pool noodle race track is to make and how much fun your kids will have playing this game with family and friends! For a fun kid's party event, serve our salted dark chocolate recipe or world's best dark chocolate pumpkin muffins alongside our kid friendly strawberry punch recipe for a delicious afternoon treat after a day of thrilling races. Lay the two pieces side by side, cut side down. To secure the pool noodle halves together, insert toothpicks between the pool noodles where they touch Repeat approximately every 6-8 inches for the length of the pool noodle. Decorate your track with flags, banners, and a start/finish line.